Staff Sergeant Salvatore Giunta, the nation’s newest Medal of Honor recipient, joined two of his forbearers, Drew Dix and Pete Lemon, at a rededication ceremony for the Home of Heroes Memorial at the Pueblo Convention Center in Pueblo, Colorado on Saturday, May 14th, 2011. “Only because of men and women like yourselves, like the Drew Dix and Pete Lemons of the world, the people who have raised their hand and answered the call of their country am I able to stand here and be so proud of what I have done,” Giunta told the crowd. Along with adding new names to the memorial wall, the crowd was invited to visit the new Veterans Memorial Bridge at the Riverwalk and join the war heroes at the recently opened Center for American Values. 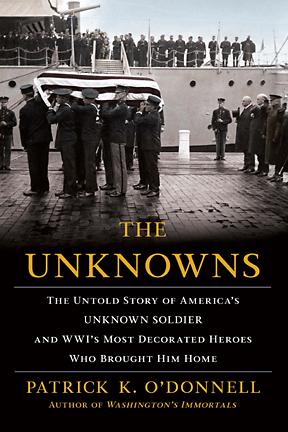 Drew Dennis Dix is a decorated United States military veteran and retired major in the United States Army. 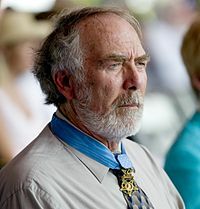 He received the Medal of Honor for his actions in the Vietnam War; he was the first enlisted Special Forces soldier to receive the medal. By 1968 he had reached the rank of Staff Sergeant and was assigned as a military adviser to the Army of the Republic of Vietnam (ARVN) in Chau Phu, South Vietnam, near the Cambodian border. On January 31, 1968, Viet Cong forces attacked Chau Phu in the first days of the Tet Offensive. Throughout that day and the next, Dix lead groups of local fighters in rescuing endangered civilians and driving Viet Cong forces out of buildings in the city. 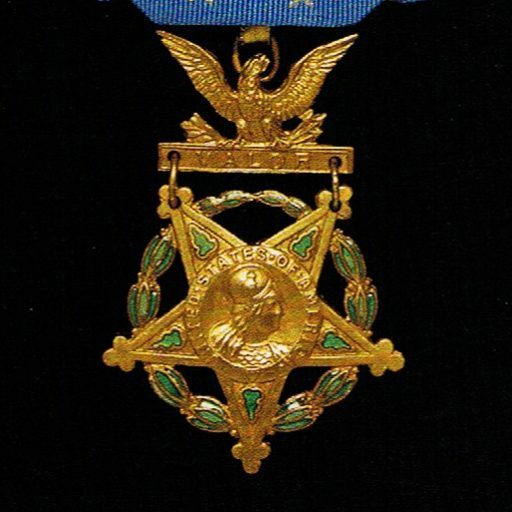 For these actions, Dix was awarded the Medal of Honor by President Lyndon B. Johnson during a ceremony at the White House on January 19, 1969. 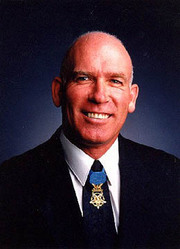 He is one of four Medal of Honor recipients from Pueblo, Colorado, the others being William J. Crawford, Raymond G. Murphy, and Carl L. Sitter. 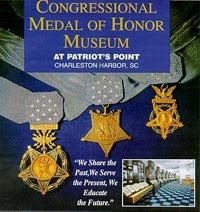 Peter Charles Lemon is a former United States Army soldier and a recipient of the United States military’s highest decoration, the Medal of Honor. He received the award for his actions on April 1, 1970 while serving in Tay Ninh province during the Vietnam War. Lemon is the only Canadian born U.S. citizen to be presented the medal for fighting in the Vietnam War. 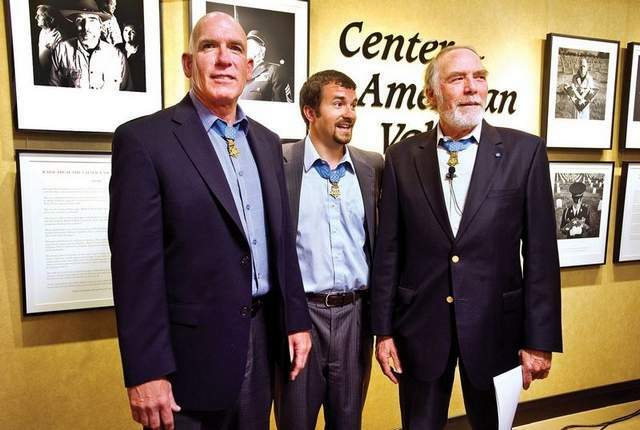 He is the third-youngest living Medal of Honor recipient. Sgt. Lemon distinguished himself during the defense of Fire Support Base Illingworth. Under heavy enemy attack, he engaged a large number of enemy fighters with machine gun and rifle fire until both weapons malfunctioned. He fought on, using grenades and hand-to-hand combat to fend off the enemy attack. Despite wounds from an exploding grenade, Lemon carried an injured comrade to an aid station and was wounded a second time by enemy fire. Disregarding personal injury, he continued to fight until he had driven the enemy from the position. He stood atop an embankment fully exposed to enemy fire and continued to fight until he collapsed from multiple wounds and exhaustion. He refused medical evacuation until his more seriously wounded comrades had been evacuated. 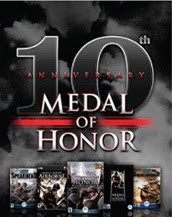 His gallantry and extraordinary heroism earned him the Medal of Honor at age 19. 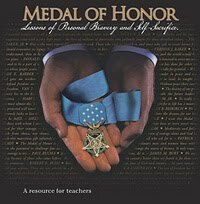 He currently works as a motivational speaker and is the author of the book Beyond the Medal: A Journey from Their Hearts to Yours as well as being executive producer on the PBS special Beyond the Medal of Honor. 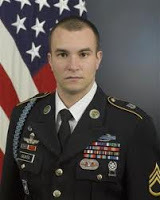 SSG Giunta, who has served in the U.S. Army for almost eight years, became the first living recipient of the Medal of Honor since the Vietnam War, the United States’ highest military decoration of valor. SSG Giunta was cited for having saved the lives of members of his squad on Oct. 25, 2007 while deployed in Afghanistan. He exposed himself to enemy fire in order to pull a soldier back to cover when their platoon came under attack. For his bravery, he was awarded the medal from President Barack Obama during a ceremony at the White House on Nov. 16, 2010.